With the year 2018 coming to an end, our curiosity is also renewed in the face of the biggest technological advances in 2019. 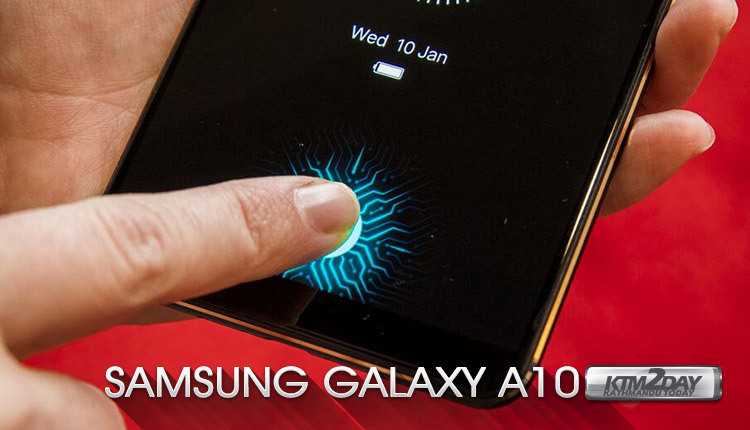 In the wake of the next generation of Android smartphones we will have the Samsung Galaxy A10, a device that already seems to be promising. First, it seems that the Android maker will maintain its policy of “testing” new features in its mid-range segment. Therefore, the brand will use its “Galaxy A” line to see how the market reacts to certain novelties. More specifically, everything leads one to believe that it will be the Samsung Galaxy A10 the first smartphone of the brand to use something very promising. That is, the fingerprint reader already embedded on the smartphone screen itself. Meanwhile we already have several brands to implement this same, from OnePlus , Xiaomi as well as Huawei . All of them already with one or more Android smartphones in the market, equipped with this new type of reader. A new approach that will become a common vision during the year 2019 and beyond. Therefore, we can wait for your presentation during the first quarter of 2019 if everything goes according to plan. It is true that for now all we have are information leaks but this whole industry already becomes something predictable. However, in the same Twitter profile we have more “tips” on the future designs of Samsung. In that sense, we also have a tweet suggesting the development of a new smartphone with the Snapdragon 845 processor from Qualcomm . However, for now we have no other source to refer to the existence of such a product so we can not dwell on the subject.